To give you, our friends, the opportunity to grow in your relationship with God and His saints. To walk where Jesus walked, follow in the Footsteps of the Apostles and Saints. To experience the Peace of Christ at the many Marian Shrines. To accomplish our mission, we offer you "Tours of Distinction" with the highest integrity and greatest value for your investment escorted by highly trained professional tour managers. Come experience the beauty, the culture, the differences and similarities of the many people and places around the world. Adoration Tours, dedicated to bringing modern day evangelization to the Catholic Church in America, provides an excellent turnkey tool to deepening the faith of believers, as well as to calling those who are new to the Lord. "We are much more than a travel agency. Adoration Tours is our Ministry, and we are committed to keeping our pilgrimages affordable." 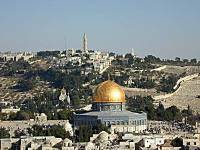 “Our goal is to give everyone who is interested the opportunity to make a Pilgrimage to magnificent spiritual sites.” Visit biblical sites such as the Holy Land and places where the Apostles and other Saints walked. Experience peace, love and joy at the Marian Shrines. You’ll never be the same again. Miracles still happen. Allow us to show you what Adoration Tours is all about. We have been fulfilling your dreams since September 1979. Let us continue making a "Lifetime of Memories."